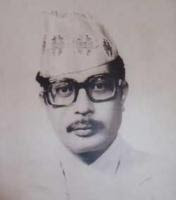 Narayan Gopal is Well known singer in Nepali Music sector. Famous singer Narayan Gopal has Given many well known song to Nepali Music industry. Shor Samrat Narayan Gopal can be listen online here. Moreover you can listen and download Narayan gopal's songs. Narayan Gopal has contributed his whole life to Nepali Music industry and given many single and duet centimental as well as romantic songs to Nepal. Narayan Gopal Contributed Adhunik geet to Nepal where as other bands like Kutumba and Shur Sudha has famous instrumental music of classical folk songs of different flavor and taste. Here are full Nepali adhunik songs of Narayan Gopal where you can listen and download Music from Shor Samrat Narayan Gopal. Listen modern music from the playlist. These are Collection of Latest music collection from Nepali Artist singer Narayan Gopal. Listen Narayan Gopal online and download them. Feel Free to Comment and Download adhunik Narayan Gopal Songs. Furthermore you can listen Nepali Instrumental songs from Background Music | Shruti Sambeg | Radio Bachan or Nepali Lok Songs, To listen Lok songs you can visit Nepali Lok Songs.Further more listen Nepali novel and Shruti sambeg. Jun Phool Maile, Kahile Kanhi Ma, Kehi Meetho Baat Gara, Kehi chotle, Kina Lagyo Aasa, Kunjma guljiyo, Laharebara, Lau suna ma bhanchhu, Ma Pholasanga Bhulya, Ma Ta Laligurash Bhaechhu, Ma kasai bhanu, Maile Punya Man Parayan, Maile gayeko, Malai Chhodi Mero Maya, Malai Jindagi, Malai Nasodha, Malai maf gari deu, Manchhe Ko Maya, Mandir Ma Chaa Ki, Mayako Aadharama, Mayako aadharma, Mera Sabai Raat, Mero Aakhanma Rakhne, Mero Katha, Mero Pyaro Okhaldhunga, Mero Yo Geetama, Mero behoshi aaja, Mero geet ma upheko, Mero joban laijau, Mero yo gitma, Mmalai Chhodi Mero Maya, Moun chha aansu, Nau jun kothama, No Artist - Audiotrack 08, Okhaldhunga, Pahad Ko Mathi Mathi, Parkhi Basen Aaula Bhani, Phool bhanu ki, Piunda Piundai, Pokhiera ghaam ko jhulka, Prayasika yaad haru, Prem Ko Mala, Premko Mala, Preyasi Ka Yaad Haru, Rani Chari Kata Gayo, Saagar Bhari Chhati Chiri, Sadhai nai ma, Sangala Ghumtoharu, Sara din arulai, Sauan Ko Jhari Bani-music Trac, Sero Ra Fero, Shamjhanako Goreto, Shaunko Jhari Bani, Sirima Siri, Sodhu Sodhu Lagcha, Swargaki Rani, Tara Devi - Mero Jiven, Timi Dekhda Rahar Hola, Timi Deu Ya Na Deu, Timi Eka Phul Hau Bhani, Timi jun rahrle, Timi lai Bhulda, Timi lai Ma Ke Bhanoon, Timi le Pani Ma Jastai, Timi le bhaneka, Timilai Bhulda, Timilai Ma Ke Bhanoon, Timile Bhaneka Sara, Timile Pani Ma Jastai, Timro jasto mutu, Tyaha Hunnan, Yasai Garee Bitai Dinchhu, Yati Dherai Maya Diee, Ye malai maya garchhu, Yeti chokho yeti mitho, Yeuta manchheko, Yo Bhagyale Katro, Yo Mausam Yo Hariyali, Yo Mutulai, Yo hariyali, Yo samjhine man chha. This is great work you have done. Thank you so much for uploading Narayan Gopal's songs and ktumb and also others. I would be very happy if you could also upload songs of Aruna Lama. Please try to upload them. This is great work you have done. Thanks for uploading Narayan Gopal's songs. I would be very happy if you could upload Aruna Lama's songs. Plz plz can you do that? Surely You would find Aruna Lama's Songs too. This is best work that have been done in field of music in internet. I would like to thank Admin heartly, and solute this step to save evergreen nepali music. like the songs to much but how can i download these songs from this page. can you give me some ideas. i tried to save link as but it didn't wrok . Well done. 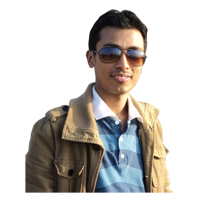 I have got lots of nepali songs can I up load as well? How do i download the songs? This is so useful. Great Job! This is a great way to keep the memory alive of great singer Narayan Gopal. I was wondering if there are karaoke versions of all Narayan Gopal Songs. Including myself there are lots of people who like to sing Narayan Gopal's songs.